For many years, most people with developmental disability had only the option of living at home with family or become institutionalized. Today, people are given many more housing options. Although there is still a challenge in finding the right fit, home opportunities are more available. The following are housing options for adults with special needs. Adults with special needs may choose to live at home with their families as long as they can. 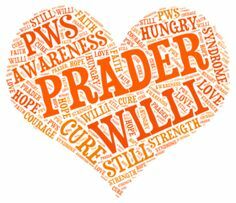 In some cases, adults with developmental disabilities continue to live at home after their parent’s death by hiring a Personal care Attendant (PCA). A PCA is hired by a person with a disability to assist with his or her personal care routine. People are eligible for this service is they qualify for Medicaid if they have a severe, chronic disability and requires physical assistance for personal care. The Section 811 program allows persons with disabilities to live as independently as possible in the community by subsidizing rental housing opportunities which provide access to appropriate supportive services. Serves extremely low-income individuals with serious and long-term disabilities, including physical or developmental disabilities as well as mental illness. Residential home which provides 24-hour support services in a group setting. Oversight, training and supervision are provided by staff employed by a provider agency. This type of facility is provided to those with significant health and/or safety needs. Are limited to 3 or fewer individuals and provide need-based support and services for those living in their own homes or apartments, but do not require 24-hour staff support and supervision. also referred to as supported care facilities, provide care to older adults who are unable to live independently, often needing assistance with ADLs. Most offer private and semi-private apartment-style living often containing a living area and kitchenette. Studies show that most accidents occur in the home. There are a number of factors that increases this number in a residential setting. For example, Staff are responsible for providing care to more than one person and the may also be responsible for a number of other duties including, preparing dinner, giving out medication and working on performance goals. Given these factors, it is vital that attention and skill is given during bathing time. One minute away, could lead to a disastrous event. 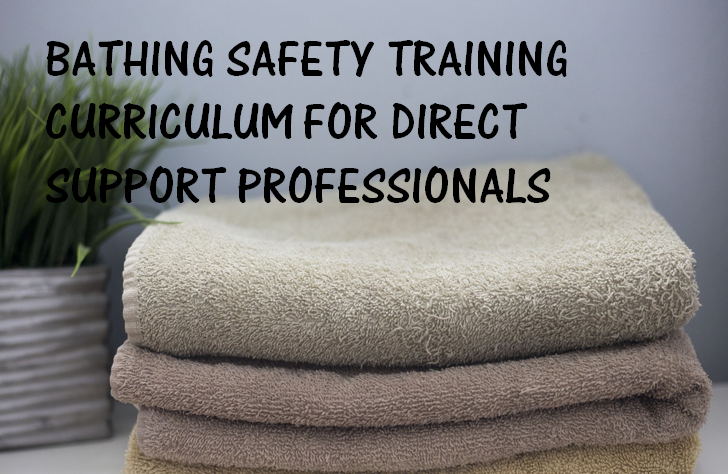 The following is a training curriculum that serves to train staff (Direct care Professionals) on bath safety. I have included the lesson plan also in a PDF format and a demonstrative checklist. Once completed, staff should be able to show their competency level in bathing an individual safely. This training also satisfies and supports Core Competency 5 (safety) and Core Competency 6(Having a home). This module is intended to provide direct support professionals with principles and strategies which will assist them in the preparation, supervision and assistance necessary to ensure the safety of people with developmental disabilities. The first section focuses on identifying and evaluating required staff supervision. Section 2 includes the responsibilities of staff during bathing time. Demonstrates steps to ensure all necessary bathing items are in the bathroom before preparing for bathing time. Identifying the process of bathing residents to ensure the process is safely carried out. Training segment 10- competency portion should be conducted one person at a time. Studies show that after the swimming pool, the bathtub is the second major site of drowning in the home including residential settings with seizures accounting for most of the common causes of bathtub drowning. The National Safety Council reported that one person dies everyday from using bathtub in the United States. That more people have died from bathtub accidents than all forms of road vehicle accidents. Injuries from the bathroom included slipping and falling when entering or exiting the bathtub or shower. A study concluded by the State University of New York State found bathing difficulties included maintaining balance when bathing and making transfers. Ask – How much water does it take to drown? Answer- inches of water in the bathtub. Any amount of water that covers the mouth and nose. Residents who require assistance or supervision for mobility, transfer or ambulation. Lack of understanding of one’s own physical and cognitive limitations. The trainer will introduce the segment on scald burns. Tell participants that individuals with physical, cognitive and emotional challenges are at high risk for burn injuries due to mobility impairments, muscle weakness and slower reflexes. Further explain that, sensory impairments can result in decrease sensation in the hands and feet with the resident not realizing the water is too hot. In this section, the trainer will give the definition of a burn, Explain to participants that a burn is damage to the skin and underlying tissue caused by heat chemicals or electricity. Further explain, Burns range is severity from minor injuries that require no medical treatment to serious, life-threatening and fatal injuries. Further explain that burns are categorized by degrees. Have participants turn to the handout on burns. *Except for very small (about the size of a quarter) full thickness burns will require a skin graft to heal. The patient is taken to the operating room where all the dead tissue is surgically removed. Skin is taken or harvested off an unburned or healed part of that person’s body and grafted or transplanted to the clean burn area. In seven to 14 days, this grafted skin “takes” or adheres to the area and becomes the person’s permanent skin. The donor site (where the skin was harvested from) is treated like a partial thickness burn and heals within 1- to 14 days. The trainer will remind participants not to leave the participants in the bathroom alone under any circumstances for those requiring supervision. Ask- What circumstance might a person leave the person alone. The participant should respond- none. Annual audits and surveys can be very intimidating. A group of state surveyors showing up at the residence or day program to review services given to individuals with developmental disabilities. What is the purpose of the audit? In each state, Immediate Care Facilities (ICF), Immediate Residential Alternatives (IRAs), Waiver services or privately operated programs are funded through Medicaid Assistance Annually State agencies. Annual surveys serve the purpose of recertifying facilities and to make any further recommendations. Overall, the goal is to ensure the quality of for the individuals receiving services. What are surveyors looking for? In recent years, the focus is more on ensuring facilities that provide services and supports to individuals with intellectual and developmental disabilities are providing opportunities for individual choices including person-centered planning, community inclusion and choice-making. Typically, State auditors will review the Individualized service Plan (ISP) document to determine it the ISP is both current and accurate. Knowledge of Individuals. know each person’s plan including person-centered planning plan, medical needs, preferences and habilitation plan. Cleanliness. Make sure the environment is neat and orderly. Privacy. Remember to give the person privacy when needed. Choice. Offer choices throughout activities whenever possible. The auditors may ask you how do you teach choice-making. Tone. Always speak in a positive and appropriate tone of voice. Small groups. Work in small groups whenever possible. Incorporate variety of choice during activities. Community activities. Ensure individuals are able to make choices in activities in the community and community inclusion opportunities are available. Universal Precaution Guidelines. Know the precautions and follow them. Remember to change gloves when moving from one individual to the next. Active Programming. The auditors may ask questions related to what they have read in the individuals ISP or CFA (Comprehensive Functional Assessment). Safeguards. make sure you are able to describe the individual’s supervision needs. Remember: Demonstrate your self-confidence, because you are good at what you do! Since President Trump’s, election, there has been a vigorous interest in politics not only in the United States but also in other countries as well. The upcoming mid-term elections provides an opportunity for adults with developmental disabilities to participate through a lesson plan created not only on the upcoming election, but also ways to get individuals more involved on topics and platforms that impact their lives. Sadly, I have heard very little from politicians on issues concerning people with disabilities and the impact it will have on people with disabilities and their families. This affords an opportunity to have real discussion with people on issues that are important to them through a series of multisensory activities. 2. 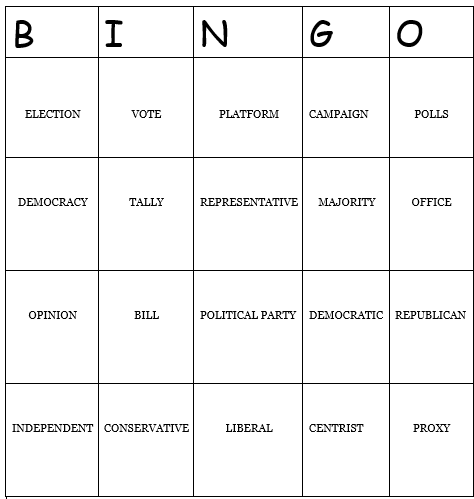 The second activity includes a week-long lesson plan on election and representative in office using a multisensory approach. The first day is set up for making an apple smoothie and a trip preparation activities allowing individuals to work on their social and money management skills. 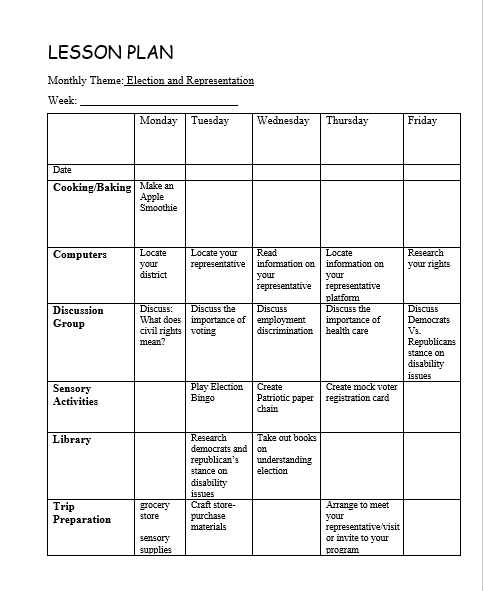 I left the lesson plan editable so that you can move activities around as you wish. Oh, this is also a great activity to use a home or school for students at the high school level. Candy is not the only great thing about Halloween. It is a chance to work on fine motor skills and eye-hand coordination while having fun at the same time. 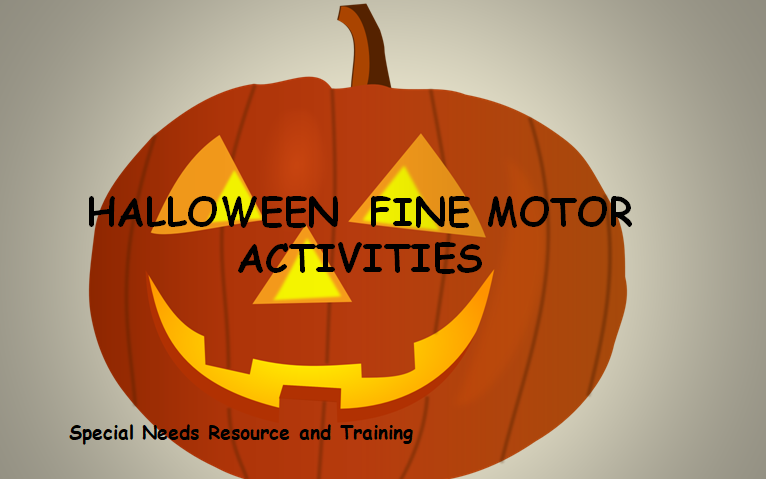 From ghosts to witches, there are a number of activities you child or student can do that will help increase fine motor skills. For some children and adults with disabilities, struggle with fine motor skills. These activities are a chance to improve the coordination between the brain and the muscles including dexterity and motor control. Click on the links below. Imagine during the course of the day you have no idea what is expected of you. Moving from one activity to the next depending on others to inform you of your daily plans. 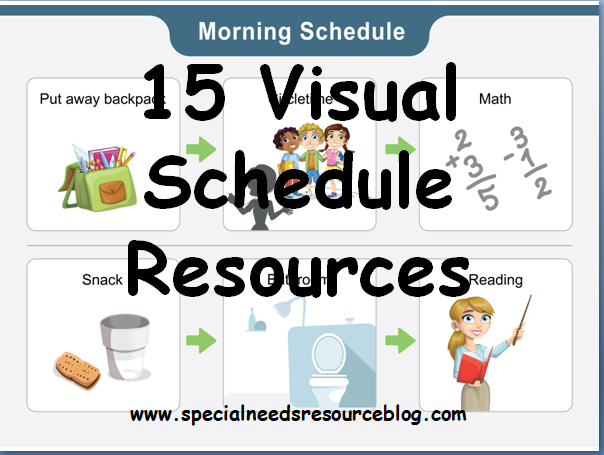 there are many benefits to using visual schedules especially for autistic children and adults. Studies show that many people diagnosed with autism experience high levels of anxiety often caused by unstructured activities. Visual schedules are a way to communicate an activity through the use of images, symbols, photos, words, numbers and drawings that will help a child or adult follow rules and guidelines and understand what is expected during the course of the day. Does the individual use speech functionally to communicate wants/needs in a variety of settings? If so, is their speech understood by all, some, few communicative partners? Are there any strategies a person might use to increase his/her intelligibility- modifying volume, rate, resonance, increasing fluency, etc.? Does the person use Augmentative Communication to supplement speech when he/she cannot be understood e.g. low/high tech communication device, writing, American Sign Language, Picture Language Board, etc. Receptive language (Language comprehension) including attention to objects, using objects functionally, identification of objects and/or pictures, comprehending one, two or three-step oral directives, vocabulary, comprehension of attributes and spatial relationships, or auditory comprehension on the word, sentence and paragraph levels. Is comprehension on the literal or inferential levels? Expressive language- (Language expression)- for those who are verbal, the MLU (mean length of utterance) is assessed. For non-verbal individuals, language expression can be in the form of pointing to one or two picture symbols consecutively on a picture language communication board or AAC device, writing or typing single words, phrases, sentences or paragraphs on paper, computer or AAC device. -AAC device assessments for nonverbal individuals take into account the individual’s cognitive skills, physical abilities in order to access the device (direct selection with hand or finger, eye gaze, head pointer, switch/scanning, etc. ), receptive and expressive language skills, communicative intent and pragmatic language abilities, and literacy. All those involved in the individual’s care play an extremely important role in whether or not someone may receive an AAC device since they will be the ones to set up/take down the device and provide basic maintenance for the device, including programming, charging, etc. Advancing the knowledge base through research activities. 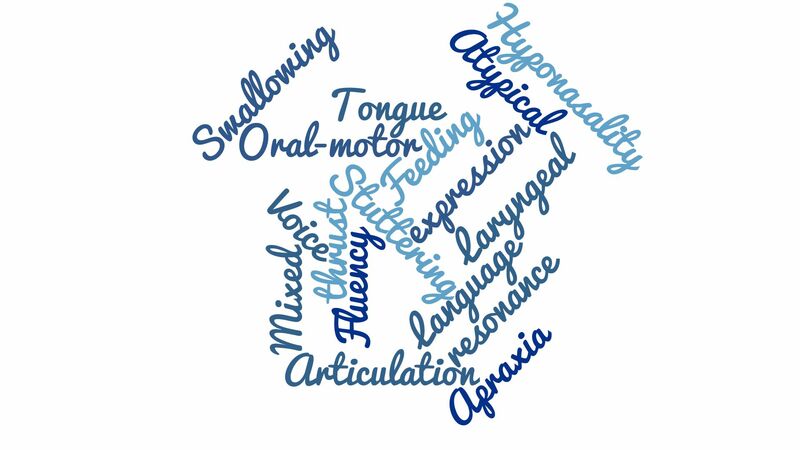 Therefore, in our Agency that serves Adults with Developmental Disabilities, the SLP works as one member of the Team, including the Occupational Therapist, Physical Therapist, Nurse, Residential Team and Family Members to create a mealtime protocol or plan which simply states the best way to maximize nutrition while at the same time attempting to decrease incidents of choking (partial or complete blockage of the airway) or aspiration (food or liquid making its way into the lungs which can lead to aspiration pneumonia). These plans are developed so that all involved in the individual’s care may be informed of the best feeding practices for that individual which include: adaptive mealtime equipment (any cup spoon, plate, straw, etc. used for an individual to improve ability to eat independently and to improve oral-motor control), positioning in chair or wheelchair, degrees of assistance needed for self-feeding, food and liquid consistencies, food allergies and intolerances, the presence of any mealtime behaviors, including rapid pace of eating which may increase risk of choking or aspiration, and any specific instructions the caregiver would find useful in feeding the individual or maximizing the individual’s ability to feed themselves. I hope you find this information helpful in identifying the SLP’s role in providing services to adults with Developmental Disabilities. 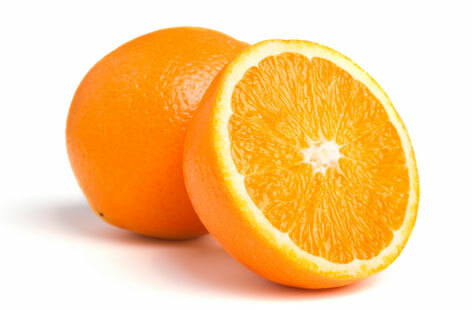 Orange is a color that is associated with the fall months of October and November. It can also be used as a training activity for people with developmental disabilities. It is the symbolic color of Buddhism and Hinduism. Instructions: Place all items into an empty container such as a shoe box. Once completed, have participants sit in a circle and pass around the box. Give each person an opportunity to touch the object and to guess the name of the object. For people with a severe cognitive level or multi-disabilities, provide hand over hand guidance. Discuss with the group or class the various sizes, the aroma, etc. You can also do a compare and contrast activity by adding items into the box of different colors and having the group choose the orange items. Have the group create a collage by cutting out items in a magazine that are orange. This will help with improving fine motor skills.